1-CD with 20-page booklet, 26 tracks. Playing time approx. 71 mns. 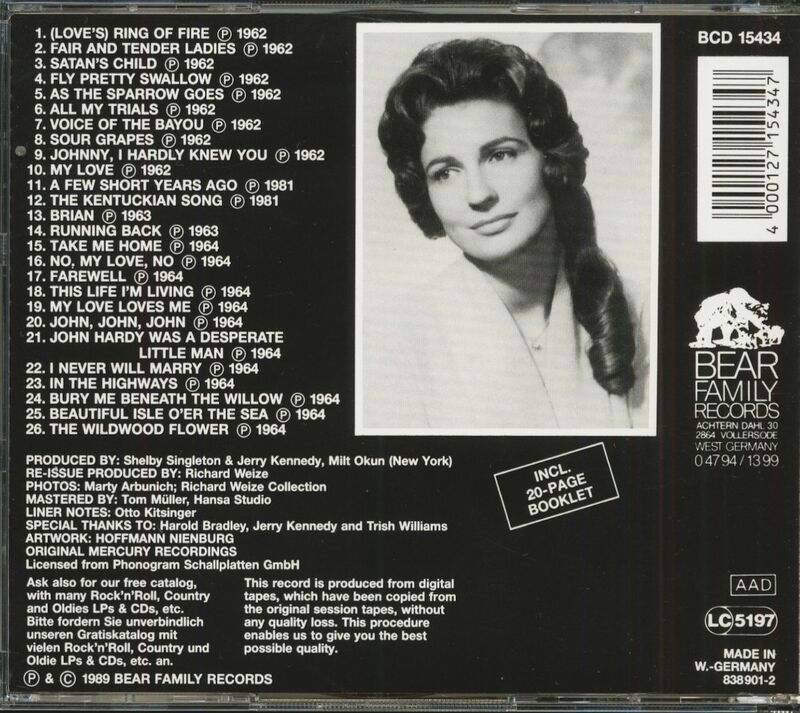 The youngest of Mother Maybelle's three daughters, Anita Carter had a pure soprano voice ideally suited to the sort of folk material she recorded for Mercury between 1962 and 1964. 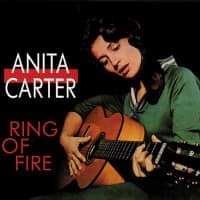 That material included Carter Family standards (she and sister Helen sing Wildwood Flower) and the album's title song, Anita's original version of which is quite different from her famous brother-in-law's. This 26-song collection is Anita's complete output for Mercury, and one of Nashville's most successful attempts to bridge the gap between country and the burgeoning folk boom. Other titles include Satan's Child, Fair And Tender Ladies, All My Trials, I Never Will Marry, and Bury Me Beneath The Willow. When you visit Nashville's Country Music Hall of Fame, one of the most striking exhibits you'll see is a wall-size screen on which a grainy black & white moving picture image of Hank Williams is projected. Williams, less than nine months from his untimely death, was appearing on the nationally televised 'Kate Smith Show.' His performance of I Can't Help It is particularly memorable. Sitting next to the gaunt singer and duetting with him is a demure, breathtakingly beautiful 19-year old woman named Anita Carter. Williams looks smitten. He wasn't the first or the last. Whether by her looks, her undeniable charm, or her musicianship, Anita Carter had that effect on many people. As bassist Bob Moore observed years later, "Just about every guy in Nashville was in love with her back then." 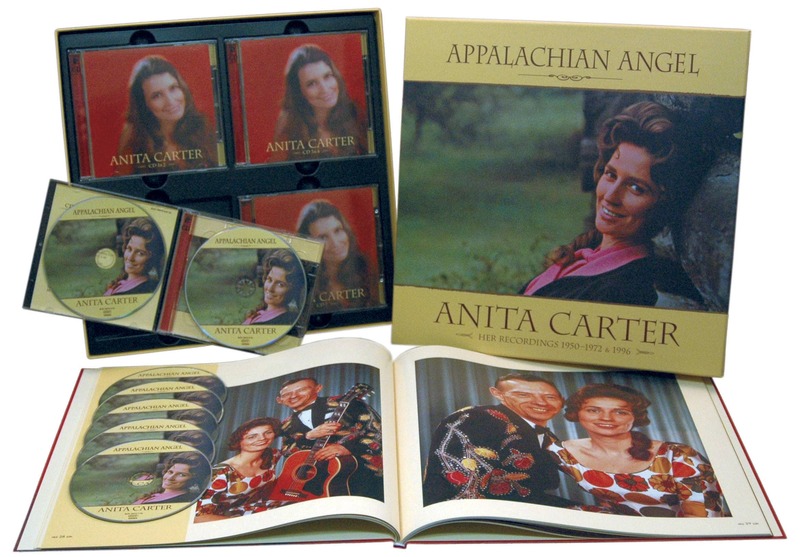 Anita was also part of the legendary Carter Family, a country music institution as much now as in 1952 when Williams and Carter shared the TV stage. Anita Carter was a press agent's dream, just beginning a career that should have skyrocketed her to fame and fortune. But somehow it never did. Despite her pedigree, her sumptuous beauty and prodigious talent, Anita Carter never became a star. Today, she is largely remembered as 'One of the Carter Family' or 'June's sister.' 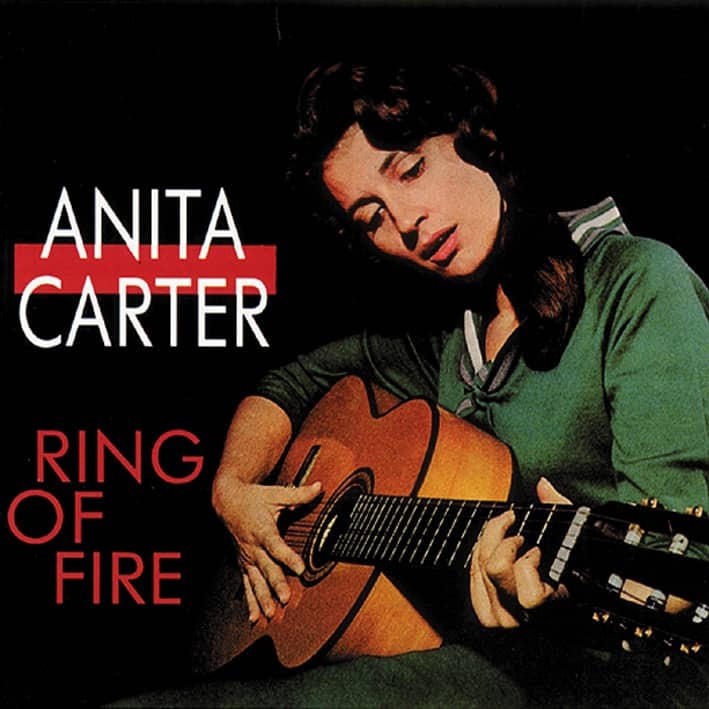 If you consult Anita Carter's name in the 'Encyclopedia of Folk, Country & Western Music' by Stambler & Landon, the entry tells you to "See Carter, June." Sadly, it is a perfect summary of her career. 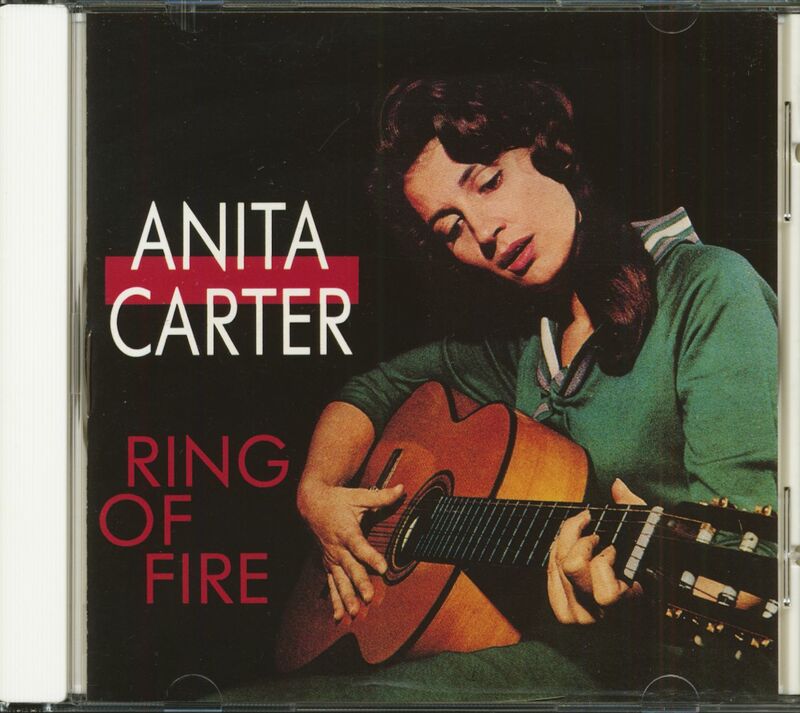 Asthis collection of 173 recordings demonstrates, Anita Carter deserved much better. Anita Carter was born to Maybelle Addington Carter and her husband, Ezra J. (Eck) Carter, in Maces Springs, Virginia on March 31, 1933. She was christened Ina Anita Carter although the first name never took hold. Anita explains that one of her father's former girlfriends was named Ina, and that at the time of her birth her mother was feeling somewhat resentful of her husband's former girlfriends. The puckish choice of her legal first name never was used by the family; from her infancy she was simply known as Anita. Anita's friend Vicki Langdon recalls, "Anita was the only one of the three Carter sisters born in the homestead at the foot of Clinch Mountain in Maces Springs. She was very proud of that. She loved that valley. Helen and June were born farther up Clinch Mountain. Their parents had a house at the top when Helen - the first child - was born. Then Mr. Carter built another little house midway down the mountain when June was born, and then they moved into the big house right before Anita was born." Of course her mother, later known far and wide as Mother Maybelle, was a member of the legendary Carter Family. That group consisted of Maybelle Carter, her first cousin, Sara Dougherty Carter, and Sara's husband, Alvin Pleasant ('A.P.') Carter, who was Ezra's brother. From their first recordings for the Victor Company in August 1927 to the breakup of the group in 1943, the Carter Family was the preeminent family group in country music. They were elected to the Country Music Hall of Fame in 1970. Legend has it that Anita was singing almost from infancy. As she has often claimed, she began singing professionally from the age of four, but didn't start getting paid for it until she was six. The professional singing began in earnest in Del Rio, Texas, where the Carter Family had both an early morning and an evening show six days a week on XERA, broadcast from across the border in Villa Acuna, Coahuila, Mexico. At a time when the most powerful clear channel stations in the United States were limited to 50,000 watts, XERA's 500,000 watts at 735 kilocycles could be received in every state in the United States and at least 15 foreign countries. It and the other so-called border blasters were a potent force in transmitting country and gospel music to a wide audience. XERA also dealt in another form of potency. The virtually unregulated radio station was the haven of snake oil salesmen, pitching cures for everything from impotence to insomnia. John Lilly's research on the Carter Family includes the following fascinating incident: "Anita Carter was only four years old when she first saw Dr. John Romulus Brinkley in 1938 at a mansion in Del Rio, Texas but it was a sight she never forgot: a goat-bearded, diamond-studded, round spectacled man, floating down the stairs with a pet monkey on his shoulder." Dr. Brinkley had built the most powerful radio station in the world and blanketed North America with sales pitches for all manner of quack remedies. Along with unctions and potions, Brinkley also performed meat-ball surgery on a steady stream of listener/customers, grafting goat testicles on to their human counterparts for the bargain price of $750 per 15-minute operation. You could even pick your favorite goat from his herd, assuming you didn't bring your own specimen animal with you. A Chicago company, Consolidated Royal Chemical, also used XERA airwaves to sell patent medicines. All of this quackery was surrounded by the best in country music entertainment and the Carter Family (featuring Anita's mother, Maybelle, her uncle A.P., and her aunt Sara) were a central part of that. When the Carter Family first went to Texas, Helen and June had been left with their grandmother Addington and their aunt, Sylvia Carter, but Anita was the youngest and most vocal protester and was thus taken along. She recalled some mornings when she'd be awakened at 4:00 a.m. and "Mom just took me over, and I'd sleep in the guitar case in between songs and she'd wake me up and tell me to go to the microphone and sing and then I'd get back in the guitar case." It was the stuff of pure legends. Historian John Lilly takes up the story: "One day, Maybelle told little Anita to sing her favorite song into the microphone, the one about the ‘purty liddle kitty kat that wore a great big cowboy hat.’ The show's producers were ecstatic. That cute little girl had the Carter gift, they said. Were there any more at home like her? Why, yes, Mother Maybelle said. There were her two daughters, Helen and June, and there was A.P. and Sara's daughter, Janette. For the next three years, two generations of Carters sang to an audience spanning the continent, and a generation of budding country stars got a musical education that shaped them forever." Vicki Langdon recalls, "Anita told me that her family had worked with Jimmie Rodgers during those Bristol sessions. There was a picture of him with her family at their house in Virginia. She got it in her mind when she was a little child that Jimmie Rodgers had taken her mother away from her and made her go out on the road with him. So she got a pen or a pencil and took that photo and poked out Jimmie Rodgers' face. Later on when she heard he had died she was convinced she had killed him. She was quite a bit older before she realized that's not how things work." After the first season in Texas, during which Helen and June were fetched, the Carter Family moved to San Antonio, where they recorded a great number of transcriptions for broadcast on border stations such as XERA, XEG, Monterey and XENT, Nuevo Laredo. Not only were the original Carter Family on the transcriptions, but the girls were too, both collectively and individually. The Carter Family continued to winter in Texas, cutting transcriptions, until late 1942, when they moved to Charlotte, North Carolina to appear on WBT. Historian Mark Zwonitzer provides a telling image of the Carter Family in their final job before they disbanded for good. "Their radio show aired live, every morning as the farmers got up and got going, from 5:15 to 6:15. Monday through Saturday, the Carters wakened before dawn, fixed hot biscuits and gravy in the little kitchenette, and made their way to the station. 'Anita never woke up at all,' June wrote. 'She hugged the bedpost while I put on her jeans. I steered her through the streets to the station and up the elevator into the studio.' Steering Anita was a lot harder now that she had the bass fiddle. It was a lumbering five feet tall, a half foot higher than Anita's own self, and she had to stand on a chair just to play it." Following the job at WBT,the original family act broke up. A.P. and Sara, separated since 1933 and divorced since the late 1930s, went their separate ways at last: he back to Virginia where he opened a general store in Maces Springs; Sara and her second husband, Coy Bays (A.P. 's cousin, whom she had married in 1939) to California. Maybelle and her daughters promptly went on the road as Mother Maybelle and the Carter Sisters, but that was not a new development; they had toured together in southeast Virginia and the surrounding states during the summers before the original group's demise. In 1943, soon after the breakup of the original group, they moved their base of operations to an early morning show on WRNL in Richmond, continuing to do personal appearances six days a week. By the late 1940s, the Carter Family (Mother Maybelle and her three daughters) were one of literally thousands of homespun country acts appearing on local radio stations for regional audiences. Admittedly, they were better than many – perhaps, most. And, like most, they hoped for a national audience. Border stations in Mexico were no longer an option. They needed a trip to Nashville, Tennessee and an audition on the Grand Ole Opry. By 1946 they shifted to the 'Old Dominion Barn Dance' on WRVA, the largest station in Richmond, Virginia. It was a step in the right direction. In 1948, they moved to WNOX in Knoxville, Tennessee to appear on the Midday Merry-Go-Round, a breeding ground for first- rate country talent. Station manager Lowell Blanchard wistfully observed, "We educate 'em and Nashville gets 'em." The Carters were now 100 miles closer to Nashville than they were in Maces Springs. It was in Knoxville that they were joined by a young guitar player and sometime fiddler named Chester B. Atkins. Anita recalled to Mark Zwonitzer, "When I heard Chester and Homer & Jethro start playing, my mouth dropped about ten miles. There was no better group in the world." June concurred, recalling, "We sat at their feet. Especially Chester's." The fulltime union between Chet and the Carter Family sometime in 1949 proved to be a boon to both of their careers. It provided a musical synergy that expanded their repertoires and their appeal on the road. According to Zwonitzer, they were a "dynamic and self-contained road show act." Atkins later recalled, "I don't know what the hell would have happened to me if I hadn't run into the Carters." Customer evaluation for "Ring Of Fire"